The USM motor performs admirably, providing extremely fast, near silent focusing. The motor flew through the range, even compared to our EF 70-200mm f/2.8L IS USM control model, and produced less noise during the travel. This is a lens that would suit use inside a church for a wedding or out in a bird hide. The manual-focus control is also very easy to use, with a nice wide area designated macro for distances between 1.4m and 3m, and room past infinity for the autofocus system to work efficiently. Many photographers will be put off this lens because of the f/4-5.6 aperture, but in practice it is less of an issue than you may think. Using the lens for portraits, the aperture allows you greater room for movement around your subject, ensuring that the eyes stay in crisp focus. 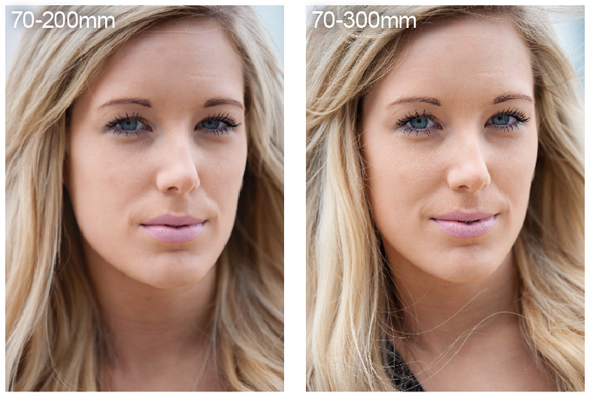 The difference in defocused areas between f/4 and f/2.8 is very subtle. Plus, those working in low light will benefit from the 4 stops of stabilisation, which means that even at full extension the lens can be used in lower light than a non-stabilised f/2.8 lens. However, one downside is that the lens isn’t recommended for use with Canon’s 1.4x or 2x extenders, as the maximum aperture would become f/8 or f/11 at full extension. Had this been a straight f/4 lens, like the cheaper of the 70-200mm L-series options, it would be more suited to extender use.